Cutting The Cable? What Should You Use? "So, which one is right for you? Well, here’s what I’ve found in my years of watching Internet TV on my television. 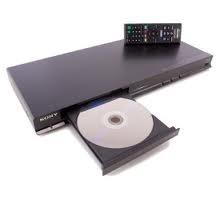 These days I use an Apple TV, a Roku 2 HD and a pair of Internet-enabled Sony Blu-Ray players for my TV watching pleasure. Indeed, a few months ago I cut the cord to my cable company and now the only TV I watch comes up either the Internet or from one of my own network media servers." Despite what they say, I consider Internet TV to still be in its infancy. Yes, if you live within the United States, you get a wonderful selection of options, though that seems to be dwindling. If you live anywhere else, your choices are less than stellar. Until Apple releases the rumored Steve Jobs dream of a re-imagined tv service, we have options like Apple TV, Roku and an increasing amount of Blu-Ray players that handle Internet TV. It isn't just Blu-Ray players though. TVs themselves are coming out with all manner of new features. It is not far away that they will be able to make you a sandwich. Until then, I can only hope that they come out with some sort of universal standard for streaming TV, and allowing you to pick your own supplier or aggregator. While it is nice to see some of these sites offering access to places like Netflix and Youtube, it would be nice to be able to add your own streams more easily. That would be particularly handy should any of the custom services go down.